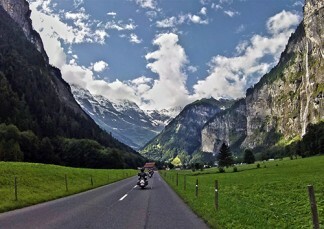 travel company that offers superb guided and self-guided motorcycle tours. West Forever is a Harley Davidson® Authorized tour operator in the US. They offer tours on the most beautiful routes in the world, riding along winding roads in stunning landscapes. Traveling on a Harley is an innovative way to discover Europe’s best places. Great roads lead to great rides so you can put your trust in West Forever for an unforgettable riding experience. West Forever’s motorcycle touring is their passion and they have been doing it for 20 years. That’s why West Forever and TG Travel Group LLC guarantees that you will enjoy your motorcycle tour at its fullest. If you are looking for a guided motorcycle tour, in group, with assistance, luggage transportation, support vehicle, then West Forever tours are made right for you! Ask about our Self-guided motorcycle tours!